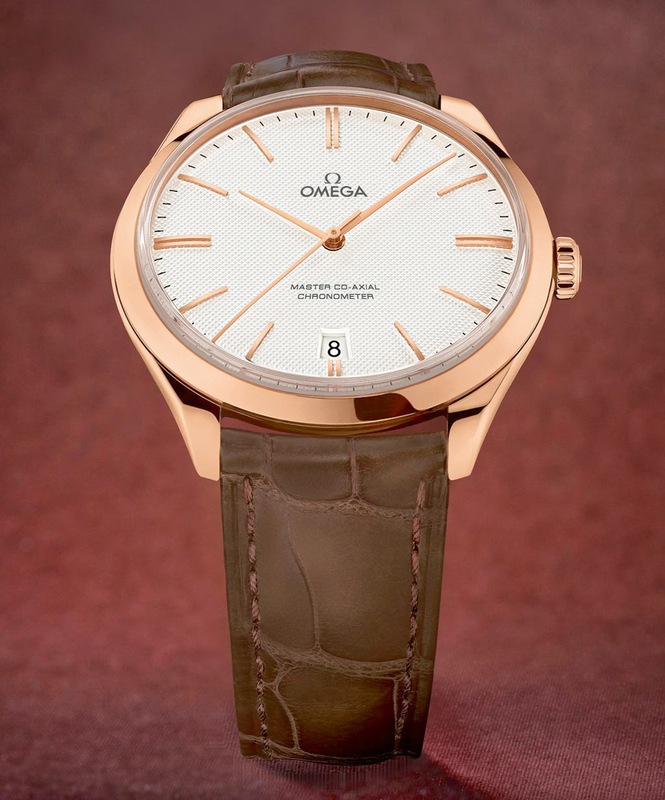 The new De Ville Trésor, presented by Omega at BaselWorld 2014, is inspired to the De Ville Trésor model that was first introduced in 1949. 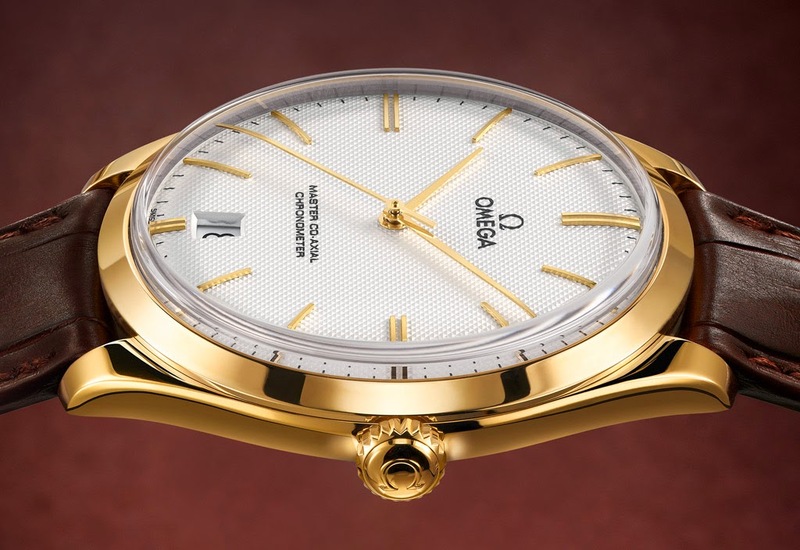 Despite of the classical and understated design, the 40 mm gold case houses one of the most advanced Co-Axial movements the brand has ever unveiled. 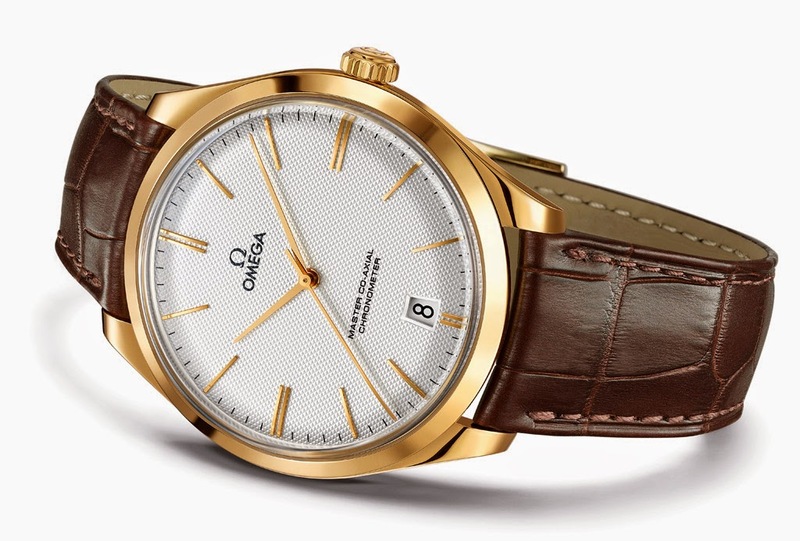 The Omega De Ville Trésor is available in Sedna (a rose gold alloy which blends gold, palladium and copper), yellow or white gold. The silvery opaline domed dial is decorated with a vintage "Clous de Paris" structure and completed by applied gold indexes and gold hands, including arched minute and seconds hands. 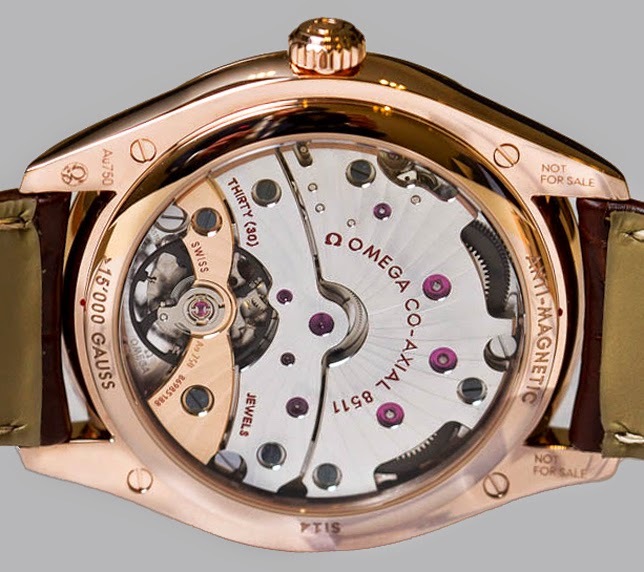 The words "Master Co-Axial Chronometer" on the dial remarks the exceptional movement inside the watch, the new Omega Master Co-Axial calibre 8511, a manual winding movement that features an easy time zone function, a red gold balance bridge, a Si14 silicon balance spring, a three-level Co-Axial escapement and Omega’s exclusive anti-magnetic technology allowing the watch to resist magnetic fields greater than 15,000 Gauss. The movement is visible through the large domed sapphire crystal while the engravings around it describe some of its outstanding features. 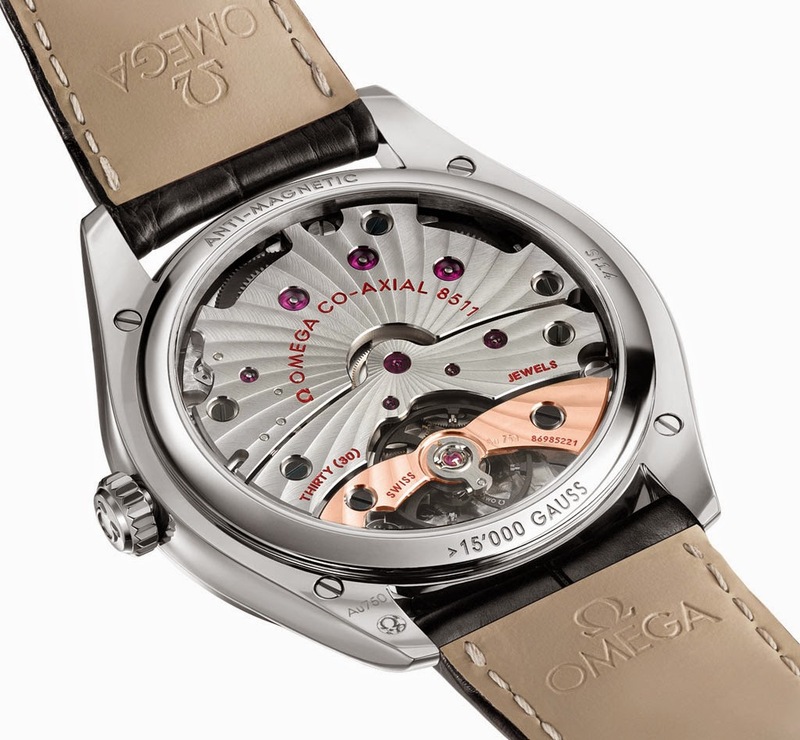 The Omega De Ville Trésor is water resistant to 3 bar (30 meters / 100 feet) and is offered with a full four-year warranty. A stylish curved black or brown leather strap with a polished gold buckle completes this timepiece. 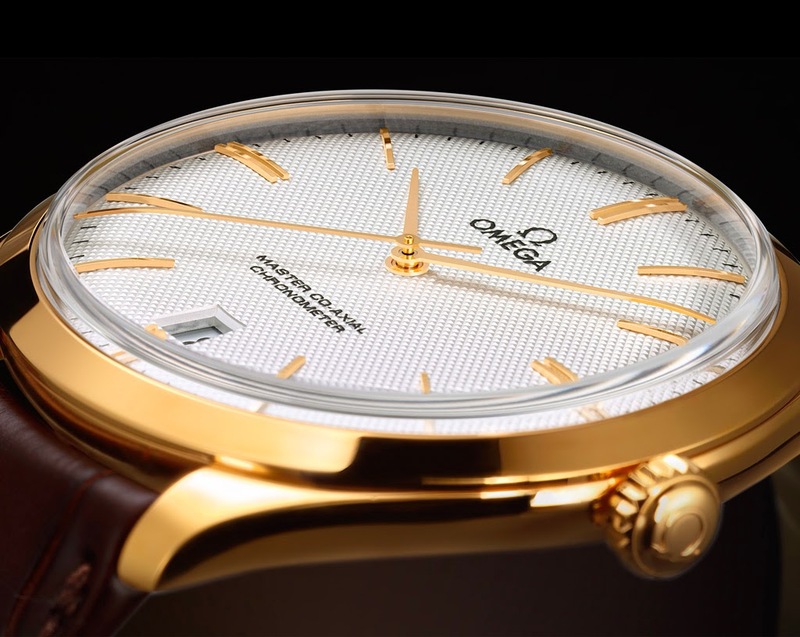 The new De Ville Trésor, presented by Omega at BaselWorld 2014, is inspired to the De Ville Trésor model that was first introduced in 1949. 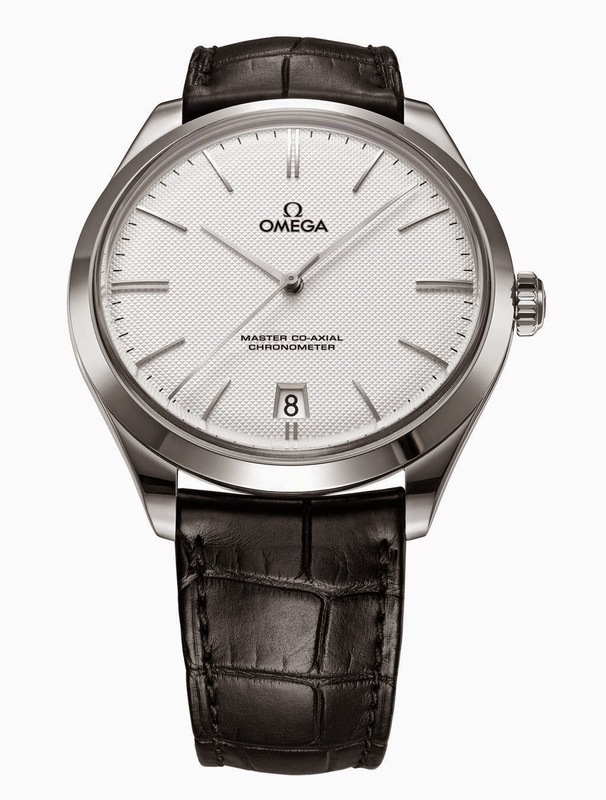 The words "Master Co-Axial Chronometer" on the dial remarks the exceptional movement inside the watch, the new Omega Master Co-Axial calibre 8511.